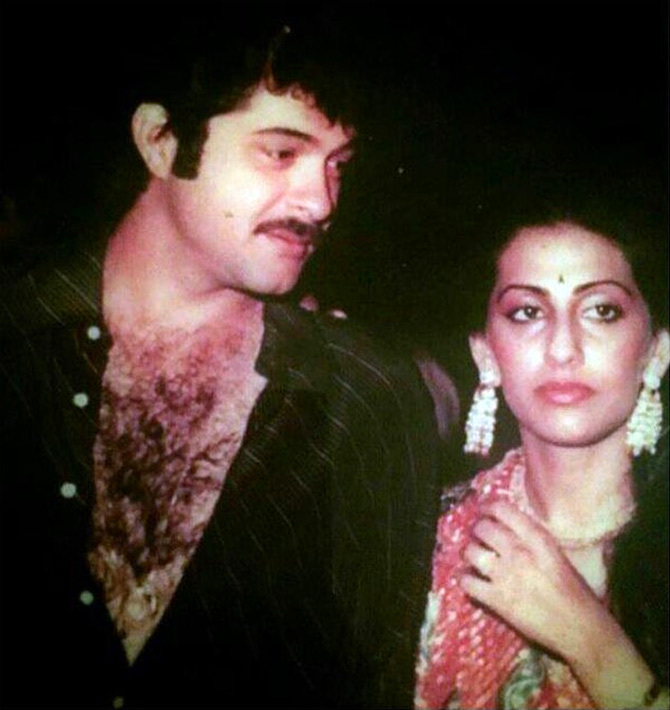 Rediff.com » Movies » What's Anil Kapoor doing with all these women! His formidable missus turned a year older on March 26. 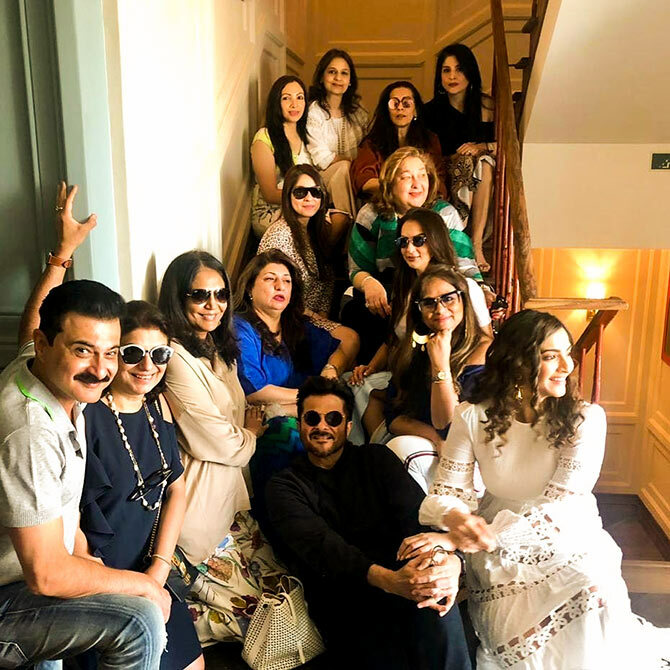 While Anil, Sonam, Rhea and Harshvardhan Kapoor are always in front of shutterbugs, they all defer to the boss at the Kapoors's home in Juhu, north west Mumbai: Sunita Kapoor, wife and mother. Sunita keeps a hawk's eye on her hubby's diet and all things else and ensures her daughters and her laadla son are no Bollywood brats. 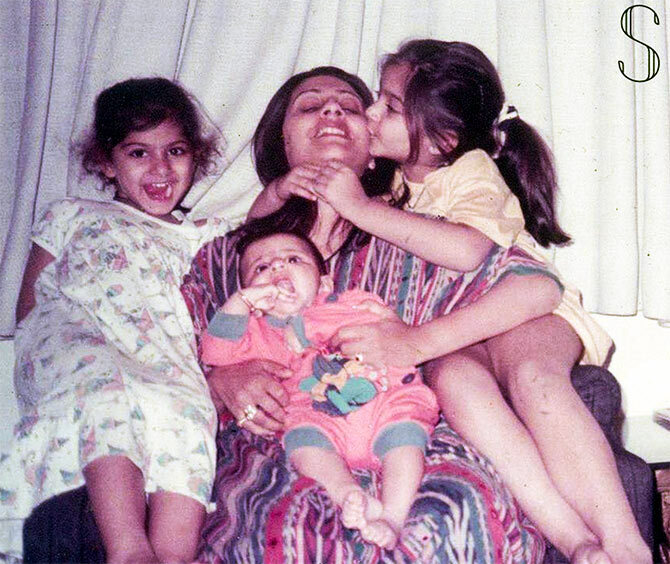 Sonam, Rhea and Harsh are likely the best brought up kids in Bolly Town. Sunita celebrated her birthday with family and close friends at the fancy Soho House in Juhu. 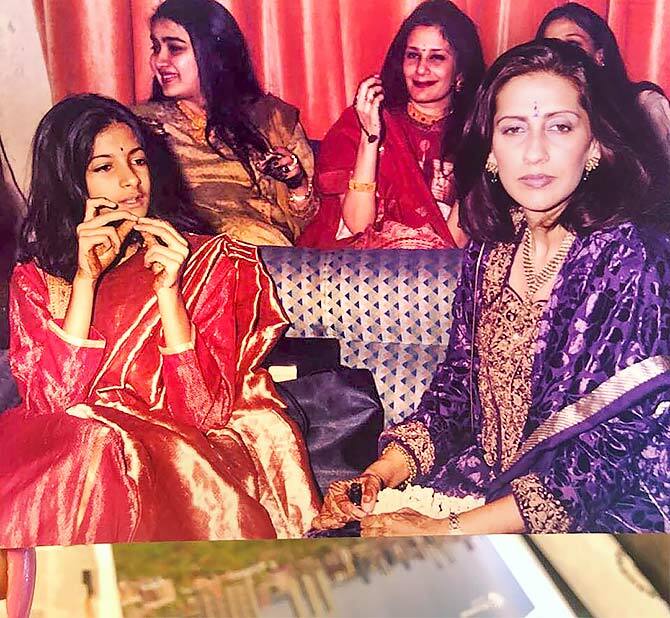 Earlier in the day, Sunita posted Instapix, providing a sneak peek of her birthday bash. Along with the pix, Sunita wrote, 'We take photos as a return ticket to a moment otherwise gone'. 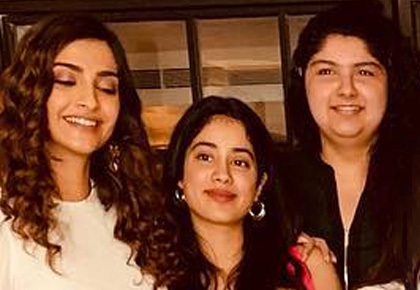 Apart from Sonam and Rhea, her sister-in-law Maheep Kapoor, her nieces Anushla, Janhvi, Shanaya and Khushi were part of the celebrations. All of them turned up looking like divas. Guess that's a Kapoor thing! 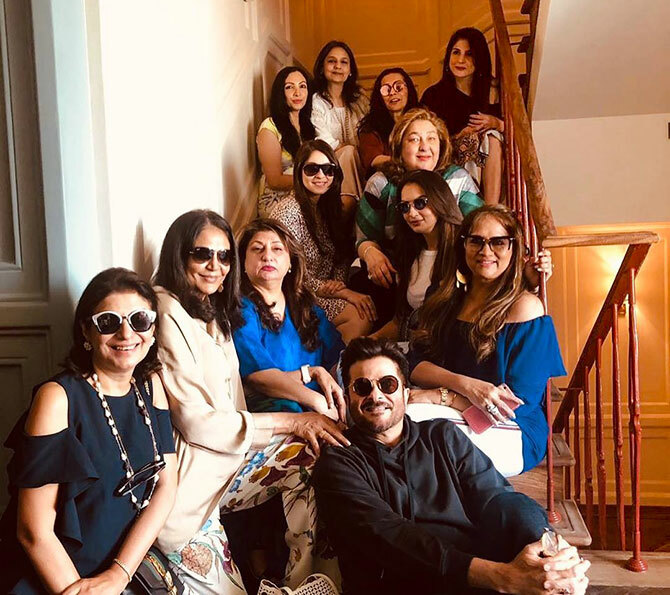 Also present at the Soho House lunch in addition to all of the above: Bhavna Pandey, Seema Khan and Reema Jain. Anil and brother-in-law Sanjay Kapoor gatecrashed the Soho House bash. Sanjay posted an Instapic and wrote: 'When the brothers gate crash a ladies lunch'. 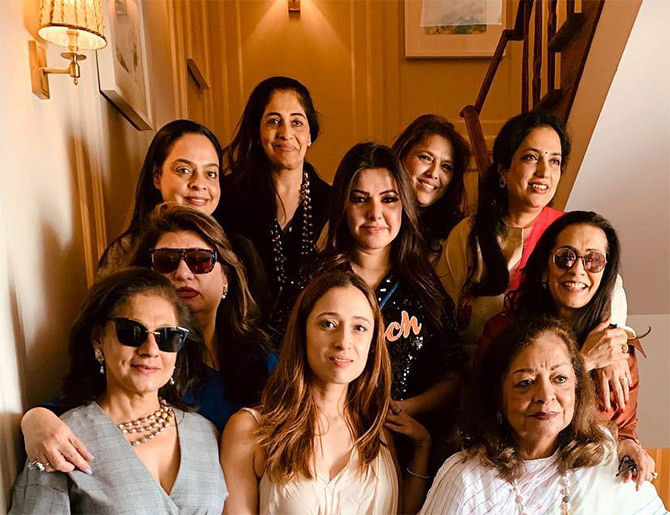 Rashmi Thackeray, Shiv Sena President Uddhav Thackeray's wife, Hiroo Johar, Farah Khan Kunder, Kaykasshan Patel were present too. 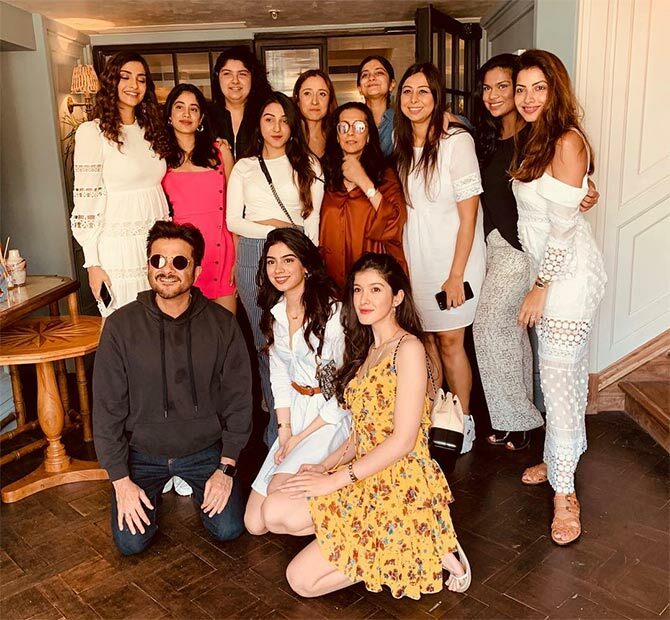 Other guests included niece-in-law Antara Motiwala Marwah -- nephew Mohit Marwah's wife -- hotel heiress Samyukta Nair, designer Shehla Khan and photographer Karishma K.
No pix from Sunita's favourite (according to Sonam and Rhea's disclosures on Koffee With Karan) child though. The reticent Harsh perhaps prefers wishing his mom in person rather than splash it all over social media.